1% of the vast repository of the ancient literature. Is disproving anything Indian without deeper studies not unscientific? One has to “alert oneself” to false knowledge, it is more dangerous than ignorance. However, the right knowledge should not be resisted. But even in this cutting edge of science, the right knowledge has often been opposed and willfully shrugged aside. As in the previous years, this year as well “Science Congress” (India) was in the eyes of a storm. When a few of the senior scientists mere mentioned about the scientific discoveries by the ancient sages, many other “Indian scientists” felt grievously humiliated. Next day the scream of derision in the media meant a lot. It has categorically lampooned all those scholars who have shown courage to set out the achievements of the ancient intellectual. The criminal was not put to shame so much but the scientists were. Those who looked down upon Indian scientific achievements were not even aware of 1% of the vast repository of ancient literature. Is disproving anything Indian without deeper studies not a dangerously irrational trend? Nothing could be so absurd than the fact the scientists could thus lose their cool and throw away the stupendous treatises branding them all as myth. The aversion to the knowledge coming from a particular country is itself unscientific. Knowledge should not be weighed in terms of the color of the skin of the author or the sound of the language it has been first set down. Well, the reasons why Indians things are hated are not far to look for if one is clever. He can easily guess who all are to blame for this growing self-hating. The dispassionate scientific inquiry by any persons from any corner of the world should be encouraged. But it is too unfortunate that the hatred for the knowledge from India is encouraged by the major academic institutions. I have noticed many Indian brothers who excessively demean their other brothers when the latter luxuriate in the fact that number system was one of the greatest gifts of India to the world. Laplace and Albert Einstein themselves could not hold back from heaping praises upon Indian Rishis for this epoch-making invention of number Zero. I say with utmost earnestness that it is smart Indians who were far more correct for preferring the “mind-training” before setting out for any scientific probing. They felt that even the stream of the scientific inquiry “could go astray”. ‘The wrong line of thoughts could also sometimes bring disaster to the whole civilization’ — warn the seers of ancient India. Well, what was held as “true” by a Newtonian group of scientists was disapproved when the physicists like Niels Bohr, Schrodinger, and Heisenberg come up with “Quantum Physics”. 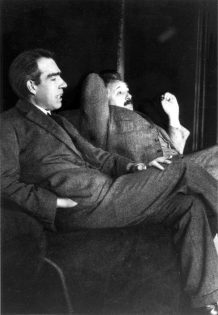 Niels Bohr had a tough time to convince Albert Einstein about the ‘Uncertainty Principle’ of Werner Heisenberg. 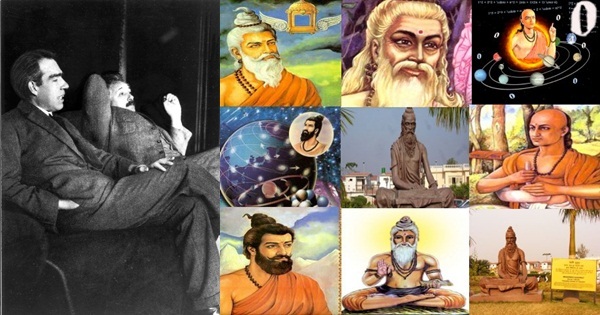 Please do not be quick to brand one a chauvinist, but the saints of India had always tried to delve deeper than the standard scientific inquiry — the fact has been well acknowledged by a front-ranking group of western scientists. Indian sages were pretty more cautious to “doubt” the limited “sensory tools” and weak mind of a human being. So, they ultimately had come up with a profound discipline called YOGA. It is the “greatest” of all discoveries of all time if we could FULLY understand its higher meaning and its purpose. I am not saying here about the stretching and twisting of arms and legs but controlling the mind. They realized that only by restraining the mind and senses can one climb up and up to the higher dimensions of the consciousness. This yogic discipline can help connect one even to the Super-soul and thereafter the “doer and the knowledge become one”. This mystic science emphasizes that it is not just about knowing and empirically explaining the material subjects/objects, but being communion with the knowledge and a lot more. Let me leave aside the technology of test-tube babies during Mahabharata and various kind of Vimanas during Satyayuga — which have been just made the subject of ridicule at ‘Science Congress’ time and again. As yet we have not invented historiscope to look into history. Can we just undermine and despise William Shakespeare as Marlovian Theory has been brought up which asserts that the works attributed to Shakespeare have been authored by Christopher Marlowe? Whole Vedanta, including Mahabharata, Yoga Vasistha, Bhagavad Gita…, are based on this conception of the communion with the KNOWLEDGE. This very profound idea had held great minds like Schrodinger, who credited his insight into the discovery of the ideas related to Quantum Mechanics to this ancient knowledge, spellbound. 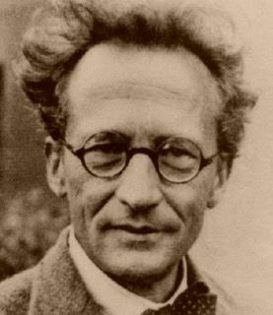 If we deeply ponder over this small quote by Schrodinger, it should totally put our ripple of misgiving, and tenacious prejudices against India to rest. Is it not totally idiotic to call one limpy and cowardly who has already climbed the Mount Everest 50 times? Don’t “trust” a fool who fears to come out in the darkness of night and raise his head up but repeatedly says there are no stars in the sky! Yes, we can’t help those who have blinded themselves with the thick cover of certain ideologies and prejudices and set out to find fault-lines against some with certain purposes. Finally, among many others, I will love to quote another great opinion by the father of Atomic Bomb Robert J. Oppenheimer –“What we SHALL find in MODERN PHYSICS is an exemplification, an encourage and refinement of Old India wisdom” (source –’The Tao of Physics’ by Fritjof Capra). Had this nuclear scientist gone insane while expressing this thought? One totally agrees that we should not take anything at the face value. But, however, at the same time, we should not look down on those profound riches that have come out from the womb of our own Mother. Now the West has given us enough number of tools to scientifically verify many of them. Let the truth be given a chance to emerge from the darkness of illusion. 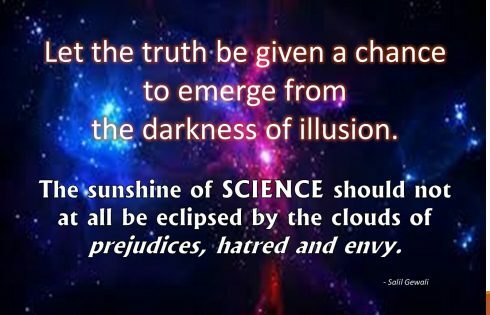 The sunshine of science should not at all be eclipsed by the clouds of prejudices, hatred, and envy. Featured Image courtesy: Ancient Pages and Google. Ancient Indian Scientists Discovered Gravity Hundreds of Years before Newton Why Would the West Learn Sanskrit? Startling Revelations! Ancient Indian Battlefield Secrets Revealed: Sanatan Shastra Vidya, the Original Art of War How the West Distorted Indian History, Terming Events as Myths Skanda: An Ancient Indian Hero Fighting the Asuras Is Ancient Indian Rishi Atri the Greek Atreus, the Father of Agamemnon?